I see you are back for another weekly reading compliments of Horror-scope Central. Our crack staff has compiled its latest readings of the celestial sphere to provide you with the best worst prognostications available anywhere. We hope you don’t suffer too much. If you do, just remember we are here to support you in your hour of need, or not. Aries… Soon, you will seek the advice of a balloon artist, then you will come to blows with him. Taurus… You will soon meet someone named Buster who will fluster you with a floozy from Flushing. Gemini… You will soon have a tendency to be tentative. Cancer… In the near future, you will leave everything behind. You will go to Africa and join a diatribe. Leo… In the future, you will have the urge to buy a seeing eye dog for some Venetian Blinds. Virgo… In the not too distant future, you will gain fame and fortune for your cookbook called, “Cooking With Cuckoos”. Libra… In the future, your design for clothing made of vegetable matter will be a success, however your customers will be molested by roving bands of vegans. Scorpio… You will soon be vulgar on the Volga while reciting Voltaire. 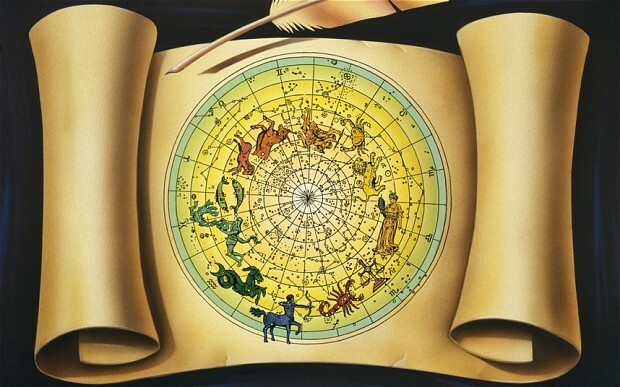 Sagittarius… Soon you will be accused of improper verbiage by a Virgo. Capricorn… You will soon have the urge to incinerate anyone who Insinuates. Aquarius… You will soon suffer from nighttime glare in the cold nighttime air or a scare from Dennis Miller. Aquarius… Soon, you will cook over a campfire in Cucamonga. Hopefully, the police will rescue you before you get too tender. Pisces… In the not too distant future, a mutant from Munich will mute you. You are certainly welcome. Cheers. Verbiage is speech or writing that uses too many words or excessively technical expressions. It’s like when someone goes on and on about something that could be said in just a few words.Hope that helps. Thanks for asking. Sometimes I am guilty of verbiage myself.